LDS Multimedia, founded by Lara Donnae Smith, is a Bermudian film production company committed to executing your vision. With services from pre to post production, we specialize in documentary, commercials, corporate video, wedding, animation, events, voice over recording/talent and local fixing. Locally we have worked with clients including The Bermuda Business Development Agency, Digicel, Colonial Insurance, The Bermuda Tourism Authority, aac Saatchi & Saatchi, Fintech Bermuda Ltd, HSBC, Government Ministries, The Bermuda Economic Development Corporation and countless weddings, just to name a few. Internationally, we have worked with companies such as Red Bull TV, Talbots, NTV International Corp, Shore Group, Ny Magazine (The Cut) and Berlin Producers. Our Documentary short "Cameron: a Portrait" directed by Lara was the local selection for The Bermuda International Film Festival in 2011, which opened for Juila Ivanova's film "Family Portrait in Black and White". 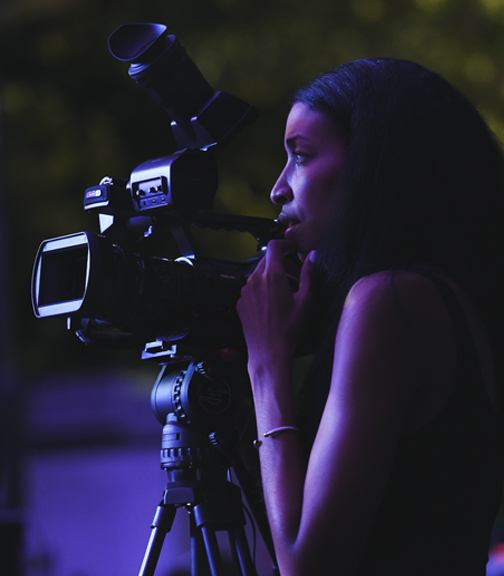 As a graduate of Ryerson's Radio and Television Arts program(2008) and Master's Recipient of Emerson College's Media Arts Program (2010), Lara has always had a keen interest in film education. She has continued her passion for film education on island by way of workshops, film camps and guest lectures. She is currently the adjunct lecturer for Introduction to Media Arts at The Bermuda College, which is offered in the Spring semester.